The young lady was sixteen and thought she was about nine weeks pregnant. Her sister had also become pregnant as a young teen and had two children that her mother was helping raise. Not wanting her younger daughter to go through what the older one did, the mother scheduled the sixteen-year-old for an abortion. But the daughter and her boyfriend, who was supportive of her, weren’t sure. The night before the abortion, they changed their minds and decided to carry and parent their child. The mom was not happy and was in a huff when she accompanied her daughter to LifeCare for an ultrasound. Most nine week old babies look like a gummy bear on the screen and bounce a bit. This baby was, in fact, about 11-12 weeks old and very active! It waved its little hand with all the fingers visible, and it looked like it was dancing, opening and closing its mouth, almost in rhythm. The grandmother watched in amazement. 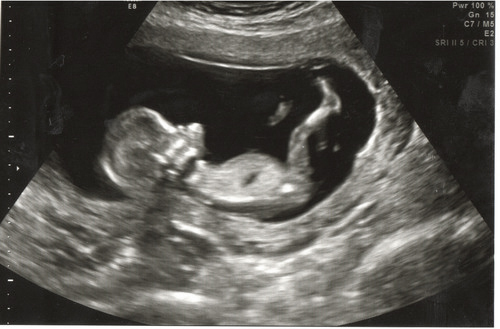 Ellen, LifeCare’s OB nurse and ultrasound technician, asked if she had ever seen a baby this small on a sonogram. She had not. They left the Center with 8-10 photos of the baby, and the expectant mother scheduled an appointment to begin taking prenatal classes and earn “Baby Bucks” to spend in the store for items they will need for the baby. LifeCare was able to support her throughout her pregnancy and beyond, making it possible for the couple to choose life and not have to do it all on their own.